Hello! 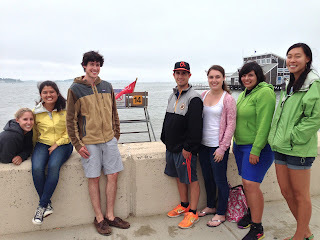 My name is Davis Sullivan and I am a Senior Marine Educator at Save the Harbor/Save the Bay's Youth Program. This will be my first summer working for Save the Harbor/Save the Bay. I was born and raised in Massachusetts and spent many of my summers on the various beaches along the South Shore. My main focus is on Physical Education and Fitness. I graduated in 2010 from New England College in Henniker, New Hampshire where I received my Bachelor's Degree in Sports and Recreational Management and also minored in coaching. As a life-long, passionate athlete I decided to teach what I truly love, soccer. After graduating, I began my coaching career as the Assistant Boys JV Soccer Coach at Milton Academy in Milton,MA. This fall will be my third year coaching at Milton. I am also a Physical Education teacher at St.Francis of Assisi in Braintree Massachusetts to students in Grades PreK-8. Throughout the school year, I have engaged the students in various physical activities that have included soccer, football, floor hockey, and ultimate frisbee just to name a few. I am very excited to be working with Save the Harbor/Save the Bay this summer. I am looking forward to playing all sorts of different activities with the kids this summer. My main focus will be a program called "Frisbeach," which is a program that will allow the kids an opportunity to explore multiple fun ways to use a frisbee. 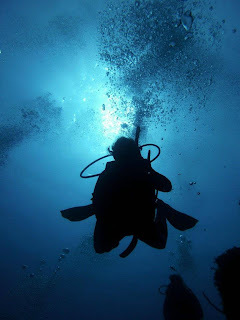 Hello everyone out there in the blog-o-sphere! My name is Sarah Bailey and this will be my first summer working as a Senior Marine Educator for Save the Harbor/Save the Bay and I am just bubbling with excitement! 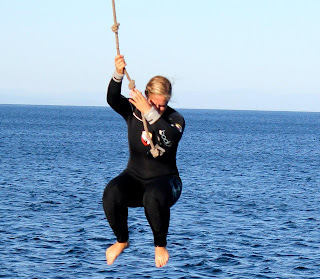 (I promise I will make a conscious effort to not end all of my sentences with exclamation points) My interest in the ocean was sparked by spending my summers on the shore of Buzzards Bay fishing, lobstering, letting no rock go unturned, and netting tiny minnows and eels. My original professional aspirations were to become a full time mermaid but I had to reluctantly accept that was highly unlikely (I may or may not still be holding out hope), so I settled for the next best thing and decided to become a Marine Biologist and Educator. See you on the beach, an island, a dock - or in the cool clean water of Boston Harbor soon! Upon receiving my B.S. from University of Miami with majors in Marine Science and Biology I took a break from research and moved out to Catalina Island in California in order to become an Outdoor Marine Educator. I have spent the last two years leading students on kayaks, snorkels, tide-pooling adventures, and squid dissections which have been both rewarding and life altering. 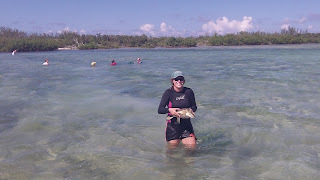 Last summer I spent my time working as a Marine Ecology Mentor for High School students in Eleuthera, Bahamas focusing on over-fishing, invasive species, and anthropogenic affects on the local ecosystems. 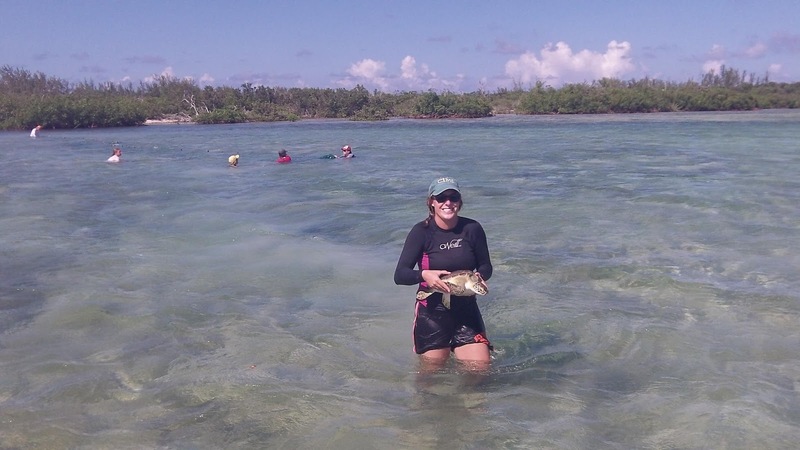 We also had the opportunity to work with local researchers and were able to long-line for sharks and tag green sea turtles in the shallow sounds. My interests include SCUBA diving, spear fishing, and cooking; my dislikes include mushrooms and bad reality television. My goal for this summer is ignite the spark in at least one kid so that upon leaving our activity, whether its tide-pooling, lobstering, fishing or any other incredible experience that is offered this summer, that she or he is inspired to continue to learn about the ocean and work toward continuing the effort to conserve it by sharing their knowledge with friends. 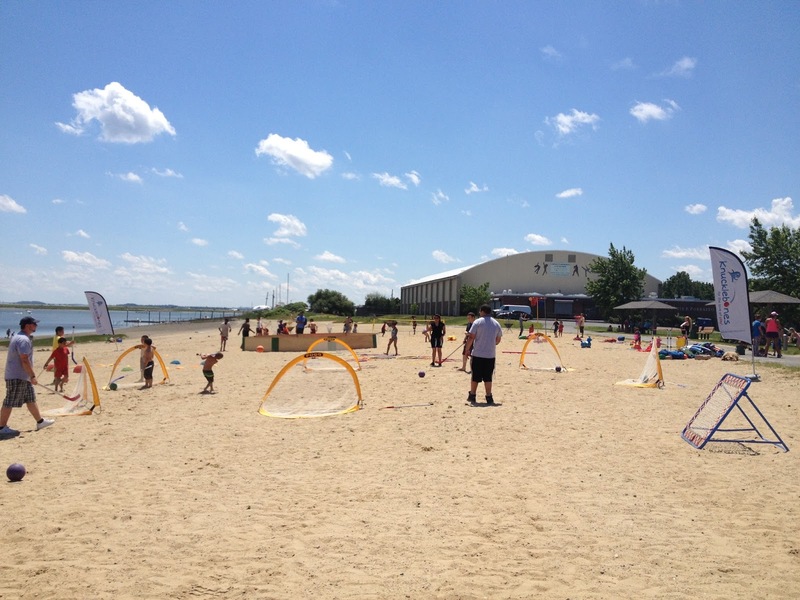 It was a beautiful day to be on Constitution Beach. 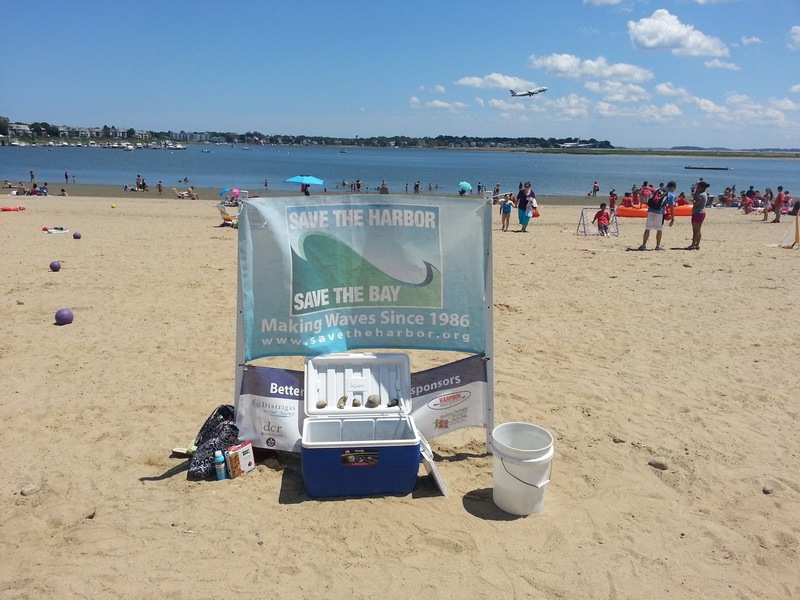 On Monday, Save the Harbor/Save the Bay headed out to Constitution Beach in East Boston for the East Boston YMCA Summer Kick Off. 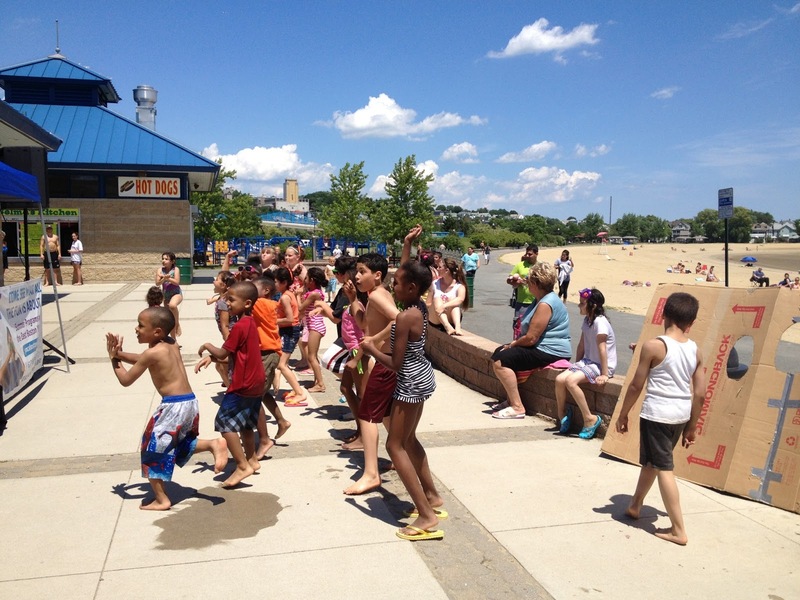 Boston students had a free day for Bunker Hill Day and many kids took advantage of their day off to soak up the sun, play in the waves, dance around and learn about the beach. It was a beautiful day to be outside. Save the Harbor/Save the Bay not only sponsored the event but had a strong presence, bringing their touch tank full of clams, mussels and oysters. The kids loved it! Some of them had eaten clams before, but a lot of kids hadn't, and many of them had never seen the inside of a mussel before. SHSB staff members Will and Carolyn were experts at showing the kids how to break open the mussel shells. Some of the kids loved the shells while others were more interested in the insides. They couldn't believe inside those shells were actual animals! Along with SHSB's touch tank, there were other games for the kids and a DJ who did a great job getting the kids moving. There was freeze dancing with prizes and lots of line dancing--even the SHSB staff joined in! We did the Cotton Eyed Joe, the Cha Cha slides, the Wobble and the Cupid Shuffle. We had lots of fun and it was great to see the kids outside, enjoying the sun and the beach. We hope to see them there throughout the summer! 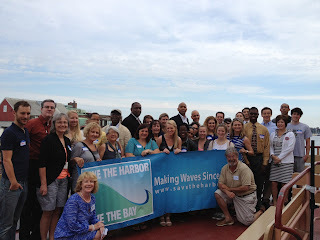 On Tuesday morning, Save the Harbor/Save the Bay hosted its 3rd annual Youth Partners Breakfast. 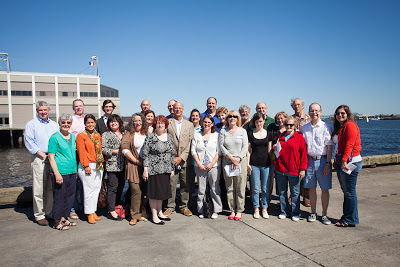 The event took place on the Provincetown II, docked next to the World Trade Center. People mingled and ate breakfast before Save the Harbor's Bruce Berman introduced himself and talked about our goals for the summer. This summer we will run our free All Access Boston Harbor trips to the Boston Harbor Islands on Tuesday, Wednesday and Thursday during July and August. We will also offer our free Boston Harbor Explorers program at 8 program sites on and around the harbor, including the Courageous Sailing Center in Charlestown, Piers Park Sailing Center in East Boston, Community Boating on the Charles River, the Mcdonough Sailing Center in South Boston, at Black's Creek in Quincy and at Camp Harbor View on Long Island. 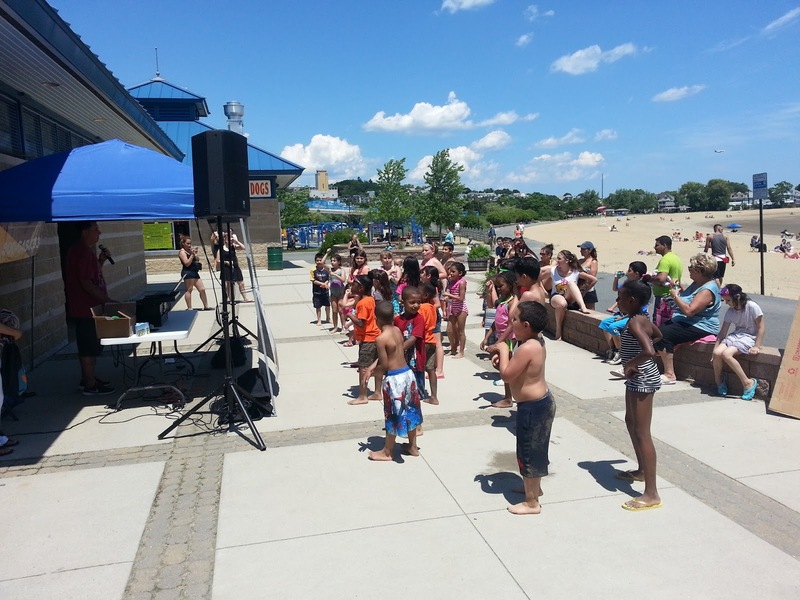 This year we will also be hosting kids programs at Better Beaches events from Nahant to Nantasket, so even more young people can get involved. 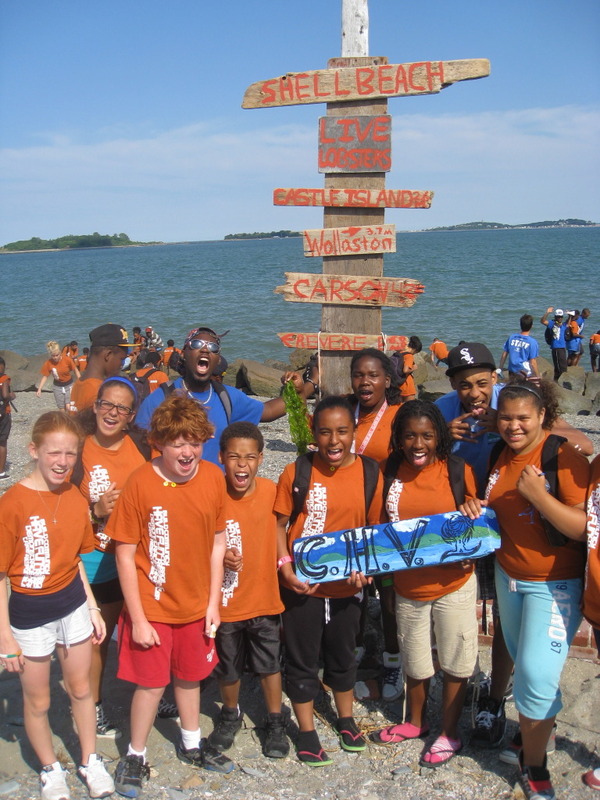 Save the Harbor's Board Member and Youth Committee Chair Harold Sparrow of the Greater Boston YMCA stressed the value of free programming and the importance of getting the kids out on the water and exploring the islands. This summer, SHSB hopes to get more families out on the water as well, with free All Access trips for kids and their families, which also take place on the Provincetown II. "Book early and book often" said Berman, citing the organization's goal to take advantage of our increased capacity to include more kids. Another reason for the annual breakfast is to hear from the Youth Partners about what they want and need for the summer. 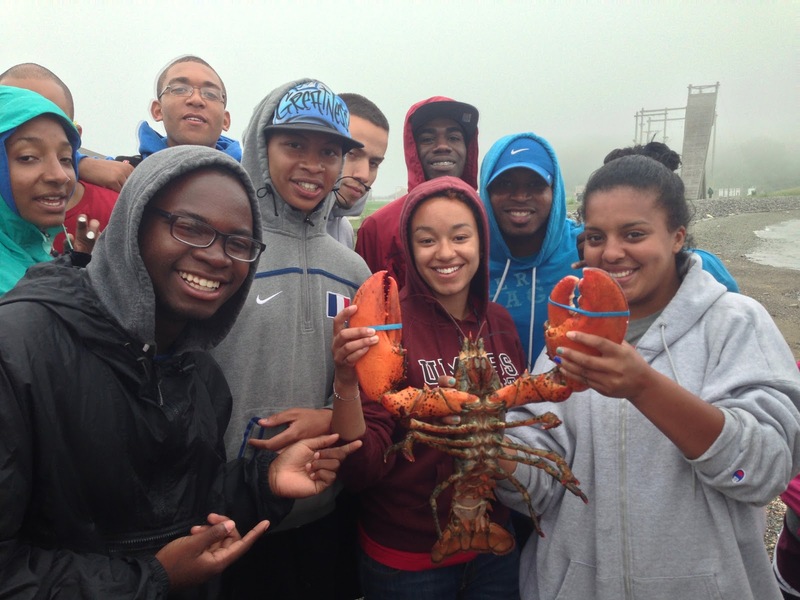 The Youth Partners were enthusiastic about the expanded opportunities to explore the harbor during the summer and in the spring and fall as well. Also in attendance were Save the Harbor President Patty Foley, and board members David Lee and Harold Sparrow, of the Greater Boston YMCA. A special thanks to Julie Doherty and Mike Glassfeld from Bay State Cruise Company for their partnership that allows so many of the region's youth and teens to "share the harbor" with us each summer. 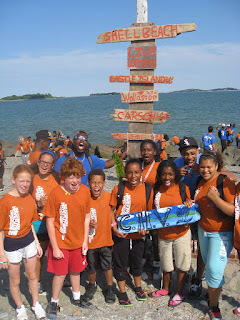 Last year, Save the Harbor's free youth environmental education programs and free family programs connected 13,545 youth and teens from all Boston's neighborhood and from every beachfront community from Nahant to Nantasket to the harbor and the islands we have worked so hard to restore ad protect. We hope to reach even more kids this summer. 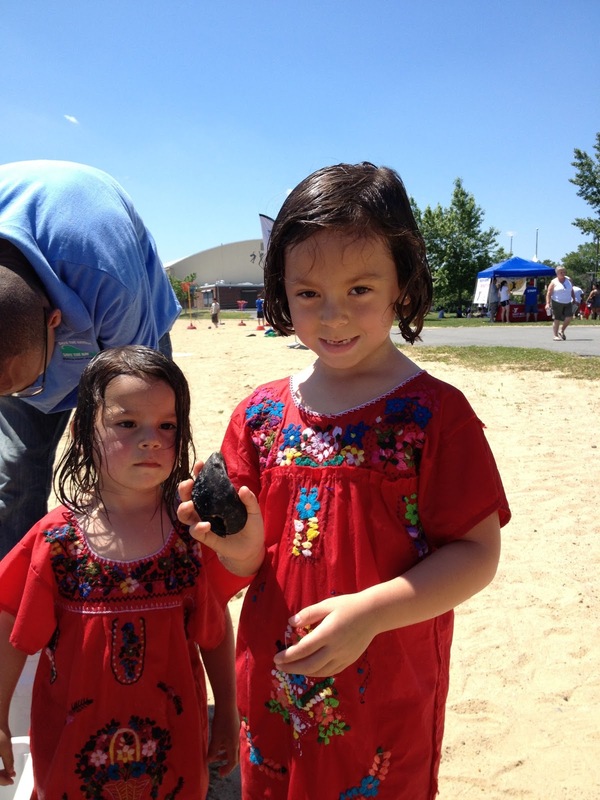 This year's East Boston YMCA Summer Kick Off was a great event filled with smiles everywhere you looked. 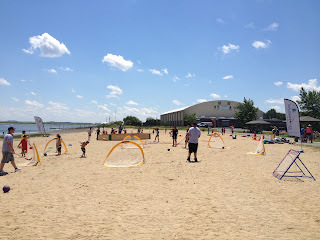 The kick off took place at Constitution Beach with a great view of Boston, Logan Airport and Boston Harbor. 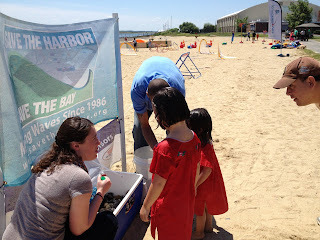 The kids were able to enjoy many games on the beach, swim and experience a touch tank full of bivalves brought by Save the Harbor / Save the Bay. I couldn't wait to show the kids what we had brought because everything we had was harmless and some of the best seafood's in my opinion. The touch tank marine life consisted of mussels, little neck clams, cherry stones, Quahog clams and oysters. 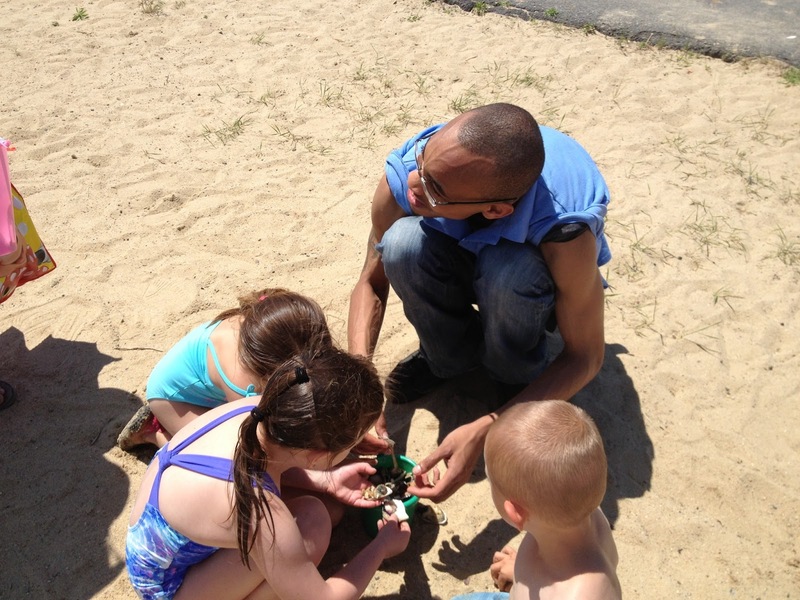 The kids were very eager to touch all of the marine life that we had and learn what they are. There were a few kids who already knew what some of the bivalves were since their parent had given them seafood before. It was great to see that the bivalves were not completely foreign to the kids. Throughout the day we had fun participating in the dance events with kids. The DJ of the event did a great job and really kept the kids enthused with different dance games and songs that had choreography in the music such as the "Cha Cha Slide" and "Cupid Shuffle." Being able to have fun with the kids and make their experience on the beach as fun as possible is something I love to do. Smashing opening a mussel so that that kids can see the inside is definitely something that gets them engaged just as much as dancing in a game of freeze dance. It was a great experience for me to be at the event and I would like to thank East Boston YMCA for letting us be a part of such a great event.